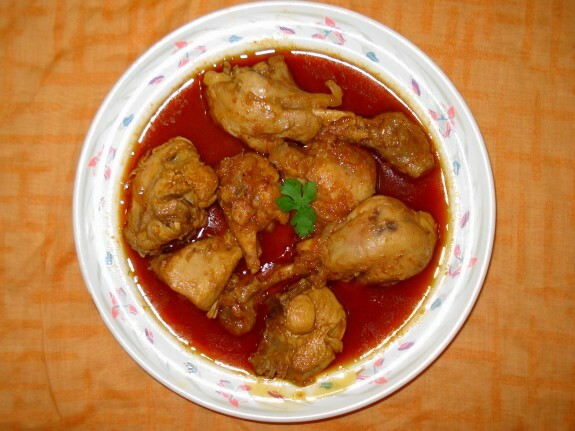 Delicious Chicken curry recipe made in Pakistani Style. First of all make a marination. In a grinder put yogurt with all the spices red chili powder, roasted ground cumin, ground corriander, turmeric powder, salt, sesame seeds, dry coconut, poppy seeds (Khash Khaash), almonds , pistachio, brown onion and ginger garlic paste. Blend it well. Marinate Chicken in this mixture for 1 hour. Now take a pan and put 1/2 oil into it. Then put marinated chicken into the pan. Cook until chicken is tender. When the oil comes on the top put corriander and mint leaves and give dum. Your chicken kari is ready. Serve hot with chapatti, naan or white rice.